I live in SW Ohio..Looking to purchase a 2015 Red Griso....need a little help. Ok ..I have been in discussions with a Guzzi dealer about acquiring a new 2015 Griso. one heck of deal btw!! ( I have had 2 Triumphs and 2 Ducs) I have a few concerns that I would like to get some of your opinions on. I live in Southwest Ohio (in between Cincy and Dayton) and have no dealer within 3.5 -4 hrs. How do most of you all who live hrs away from a dealer get warranty work done? Just trailer it or can dealers send you the part? next... I can do most basic maintenance, but have never done valve adjustments how hard are they to do? Do you all know of any individuals in SW Ohio who might be willing to show me the ropes. Re: I live in SW Ohio..Looking to purchase a 2015 Red Griso....need a little help. I would think that some of the SW Ohio guys will be around shortly. Just the same, service is probably as easy as any bike, certainly easier than most. I'd look good on a red Grease O.. I just set a new one up two weeks ago and WOW did it ever like this cold air, it felt a fair bit stronger than the last couple I took out. Granted it is not "close" but between Cincy and Dayton is under 4 hours from me and All Seasons in Wooster is an hour and 20 minutes in your direction from my place. I would think about 3 to their place. 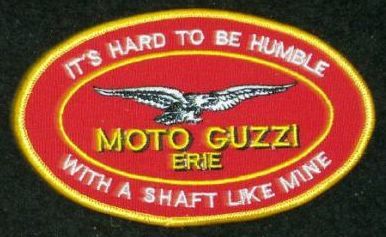 No real opinion on their retail sales not having purchased there but their service guy loves Guzzi. The Griso will be so easy to maintain (routine stuff like oil change, valve check/adjust, etc) that you will be amazed. 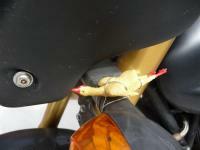 For one thing, the heads are sticking out in the breeze so they are easy to access. Then the actual check/adjust is by simple screw & locknut; no shims, no cam to remove, easy-peasy. The Griso guys can tell you if there are any Griso specific issues to deal with but my Stelvio has basically the same engine and it's no big deal to do a minor or major service. The only thing you might want a dealer to do is to synch the throttle bodies and you could actually do that yourself with just a bit of instruction. The initial dealer setup is the key to happiness. Trouble is that most dealers just uncrate the bike, put gas in it, and hand you the key. They really need to check stuff like the TB balance before you take the keys. There are things I strongly recommend on top of proper PD? At some point very early in the piece remove the Swingarm and grease the bearings and shock linkages. They are rarely done well at the factory. Other than that? Make sure that the valve lash is done at the first service and ensure that the TB's are correctly balanced. Best bet is to buy the cables and download Guzzidiag and purchase a decent set of vacuum guages so you can do it yourself. There are lots of instructions on the proceedure on the web. Make sure throttle cable free play is minimal and then just ride it for a bit. I'd advise against spending big bucks on tuning stuff like Power Commanders and the like. There are people who can set you up with a very satisfactory map, much superior to the factory one, for next to nothing. Mr Whitaker, aka twhitaker, lives south of the Dayton area, he could probally give you some sound advice. 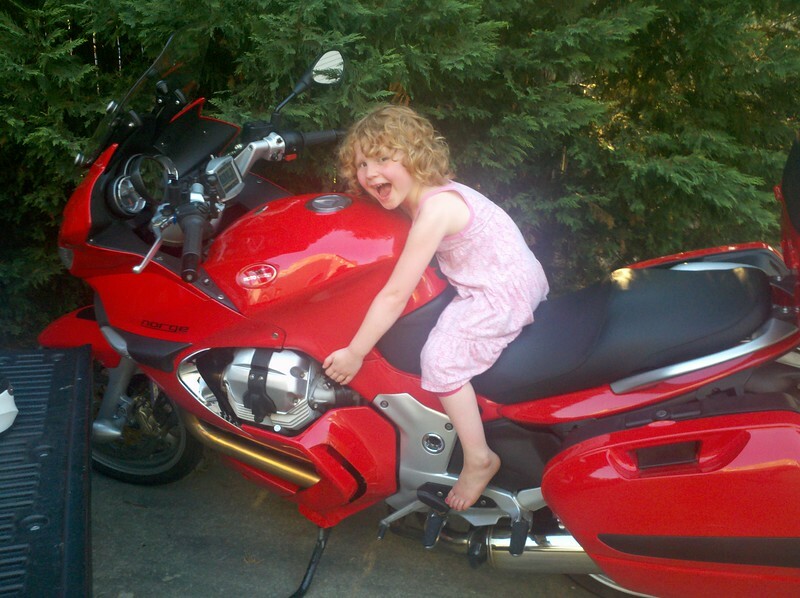 My biggest piece of advise is ride a Griso as much as possible before buy a Griso to make sure it is the bike for you. 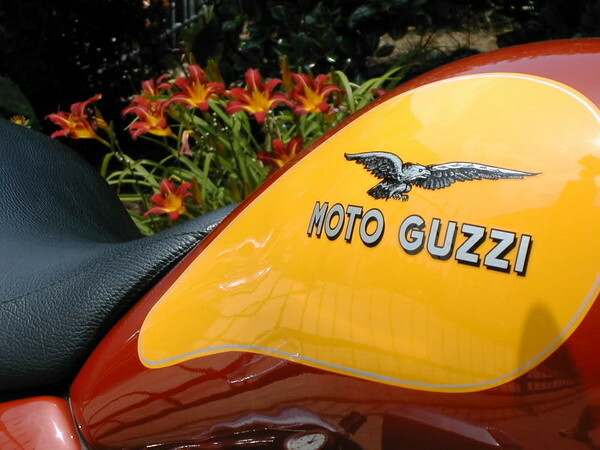 When my Griso was my only Guzzi it was great. When I had two Guzzi's it was my second favorite. When it was my third Guzzi it was my third favorite and so on. Eventually I sold it preferring the V50, V7R and a Eldo over it. If you have to resell because you find you don't like it plan on taking a financial thrashing. Doubtful a dealer would ship you warranty parts as they do not know you level of mechanical expertise. As for taking a bike in for service I don't think dealers offer a pickup service for 4 hours away. If they did it would probably be cost prohibitive. A pickup or trailer are probably your best bet if it needs to go in for service. One of the nicest facets of the marque is that they so seldom break down! Changing tires and oil gets boring after a while. We are having a breakfast in Germantown this Saturday. You might stop in and say hi. On the merits, I find your turn amazing and near unfathomable. Obviously, YMMY ... and does. I have had four Guzzis, all bought new. They are all so different and appeal to different needs "needs," but, as with our 10 grandbabies, I have a favorite tho it isn't politic -- at least with the kids and their moms! ;) :wife: -- to say so. The only thing it does't do well -- at least in Kathi's case, and I'm not trading her in! ;D -- is two-up riding. Again, more a matter of her liking the Norge and EV so much for pillion work. Thanks guys for giving me a little peace of mind.I still haven't been able to sit on the bike, its just to hard right now with work to get the free time, but Im still in talks with this dealer so Ill let you know how it turns out. Seriously.. if you can get it from one of the "good" dealers, your experience will be much better.. a 500 mile trip to pick it up isn't squat in the long haul. Mike, I live in Northern Kentucky and just bought a Norge from Sloan Cycles in Murfreesboro, TN (www.sloansmotorcycl e.com). They are about 4 hours from here (think Nashville area), and this dealership was absolutely fantastic and easy to work with. I spoke with the guys in northern Ohio and, while they were cordial, were not nearly as open and accommodating as Hank at Sloan's was. Also, as noted by Rosso Woody, I have heard nothing but good things about Cadre Cycle in Cincinnati, although I have no first hand experience with them. 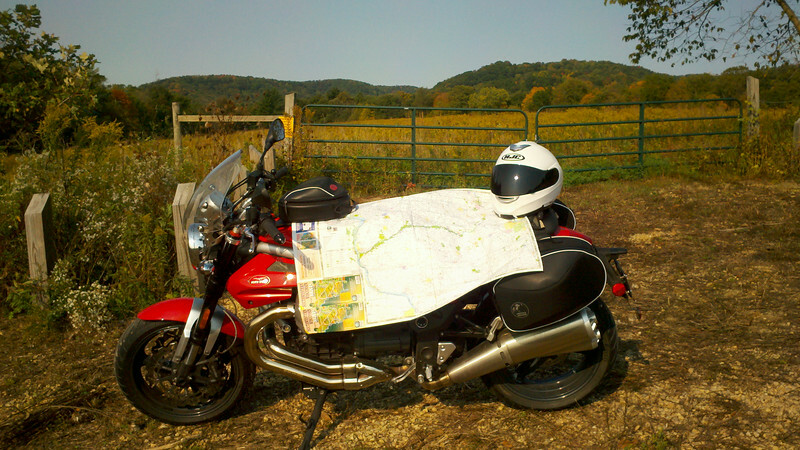 I will be following this thread as my guzzi, Indian, and I will be moving back to cincy in the next year or two. There should be a NEW Guzzi dealer in Cincinnati VERY soon. I just heard that a day or so ago. Page created in 1.191 seconds with 25 queries.